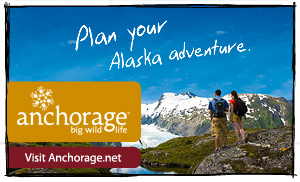 Location: Mile 304 George Parks Highway 3; 52 miles from Fairbanks, 304 miles from Anchorage. Population: 435. 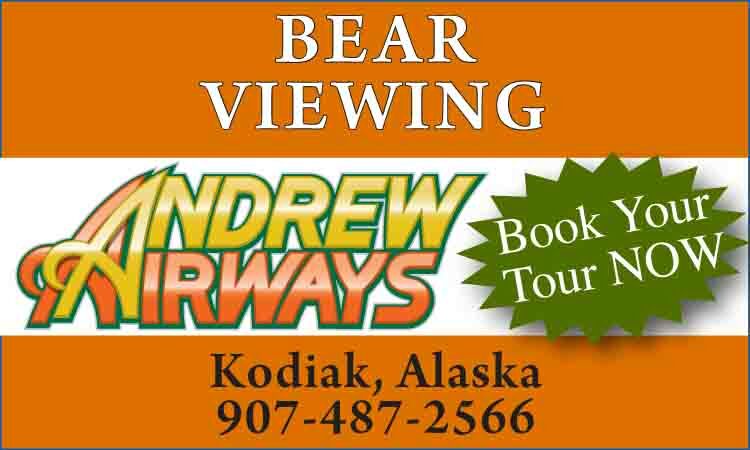 Nenana Visitor Center located beside the highway, (907) 832-9953. 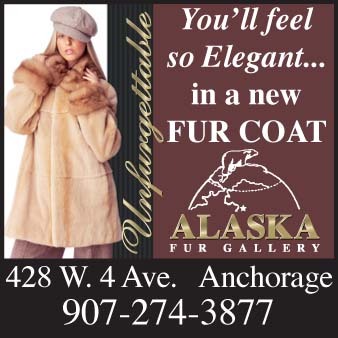 Cultural Center (907) 832-5520. Nenana Valley Chamber of Commerce, Mile 305 Parks Hwy, Nenana, AK 99760; Phone (907) 832-5812. The village of Nenana is located at the head of one of Alaska's most scenic valleys with Mt. McKinley visible on the horizon. It is situated at the confluence of the Nenana and Tanana Rivers, at the base of the highly visible Toghothelle Hill, about halfway between Fairbanks and Denali National Park. Nenana has traditionally been considered an important site for fishing and hunting camps by different groups of Athabascan Natives. The Nenana Deneyee, the Native people of Nenana, have occupied this land for generations. The name Nenana means "a good place to camp between the rivers." Na is an Athabascan word for river (you'll notice many rivers in the Interior end in na). The lure of fur and gold and an expanding market for trade goods brought the sternwheeler into the area, at first augmenting and then changing forever the subsistence lifestyle of the local natives. 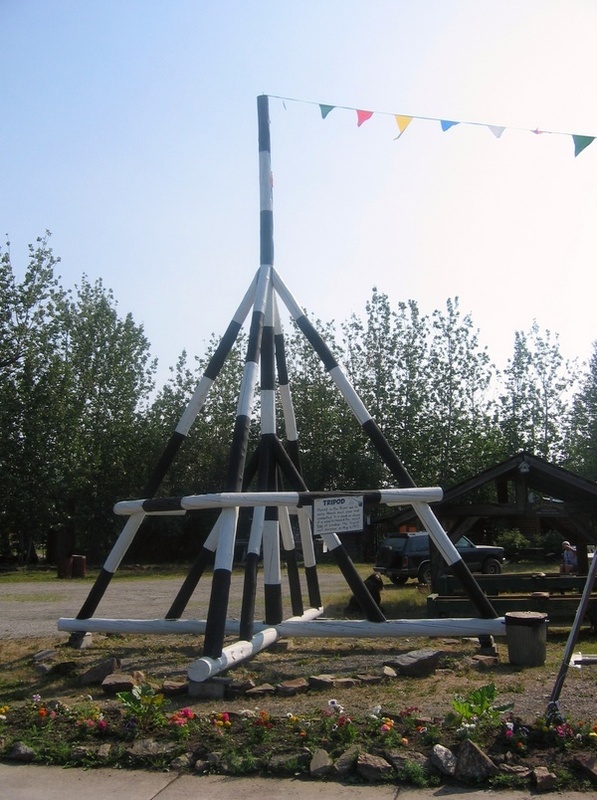 Nenana became a melting pot of converging and conflicting cultures. Traditional hunting and fishing, while still a very large part of the natural way of life, are supplemented by twentieth century technology and employment. Fishwheels share the river with motorized boats. Dog teams now share some of the same trails with roaring snowmachines. This acceptance and melding of lifestyles still brings miners, trappers, homesteaders, natives, shopkeepers, boat crews and others together in Nenana. The way of life in the village still has a flavor not seen in many other places. Around 1905, three events occurred to establish Nenana as a village: the telegraph station was built as part of the network across Alaska, Jimmy Duke built a trading post and the Episcopal Church established St. Mark's Mission. Two years later the school was started and the village grew. The coming of the railroad and highway brought others to Nenana. The railroad was finally completed in 1923 with the building of the bridge across the river at Nenana. Measuring over 700 foot in length, this structure is the second longest single-span railroad bridge in the U.S.. President Harding, the first U.S. President to visit Alaska, officially drove the golden spike on the north side of the bridge. Dog mushing, the official state sport, is popular in Nenana, as demonstrated by the many winners of long distance races who live here. In January of 1925, the town of Nome faced the possibility of a diphtheria epidemic and needed serum to inoculate children. With air travel impossible in the cold weather, the serum was transported by train to Nenana where it was loaded onto a dog sled. The world held its breath as a relay of the best available mushers traveled 700 miles of the Iditarod in minus 60 degree weather and 80 mile an hour winds to rush the serum to Nome in a little over 5 days. 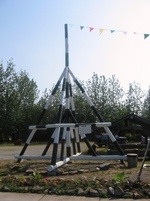 Nenana has various eating places, campsites, RV parks, gift shops and museums. There are convenience stores and a general store as well. Taverns, churches, fish processing plants and a myriad of other sights and activities offer visitors a wide sample of Alaskan lifestyle away from the bustle of the urban population centers. 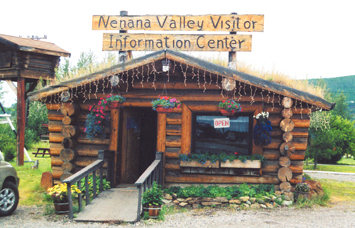 Begin your visit to Nenana with a stop at the Visitor Center, open from Memorial Day to Labor Day. Nenana, positioned as it is on the main highway between Anchorage and Fairbanks, is ideally suited to giving a panoramic view of the past, present and future. It is home of the Ice Classic: in 1917, railroad workers and miners at Nenana bet on when the ice would break up and begin to move downstream on the Tanana River. That contest continues today and now the winning time is worth around $300,000. The exact time of breakup is determined by a wooden, four-legged "tripod" wired to a clock and placed on the ice in the middle of the frozen Tanana during March. When the ice—which may still be 2 or 3 feet thick—breaks, the tripod travels downriver, tripping the clock to mark the official time. The earliest breakup was April 20 in 1998 and 1940, and the latest breakup was May 20, 1964. Ice Classic entries cost $2.50 apiece and can be made throughout Alaska where the Ice Classic's red ticket cans are on the counter. Entries can also be handled via the Internet. The Alfred Starr Nenana Cultural Center offers one of the largest collections of Alaskan Native hand-crafted items in the state as well as ongoing museum displays preserving the culture and history of the area. In addition to a trophy winning Yukon 800 riverboa, there are pictorial displays of the Episcopal Mission, the Ice Classic, mushing and the beginnings of the Alaska Native Claims Settlement Act.